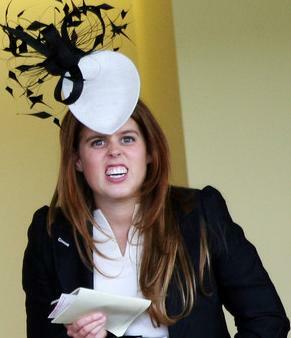 Princess Beatrice was asked to show proof of her age when she visited a posh nightclub. The 20-year-old royal had to produce ID after an Australian bouncer did not recognize her. Flame-haired Princess Beatrice handed over a card which showed her full name preceded by HRH. Princess Beatrice drank bottles of Peroni beer while her friends downed cocktails at the bar owned by TV music star Jools Holland. The royal settled the £200 bar tab before leaving shortly before 3am.